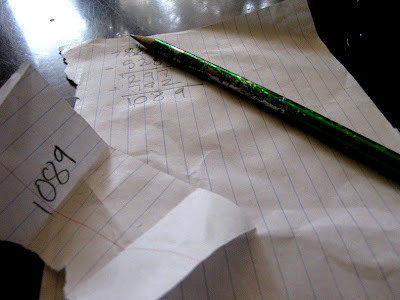 Write on a piece of paper the number 1089, fold it up so they don't see it, and hand it to someone. Have them choose a three digit number. Each digit needs to be different. Subtract the smaller number from the larger number. The only exception to this rule is if the first and last numbers are consecutive, such as 637 or 928. If this is the case, the answer will be 198. 99 + 99 = 198. HA! This is great, will be sure to remember putting the hand over the brow! My girls will be amazed. Now off to try it. He showed me up. It dosnt work with 962. help me out please math wizard! I kept messing up the 396 with 369, getting 1062. Dyslexia creeps back in now and then.